Learn how to ice, make borders, and decorate a cake. 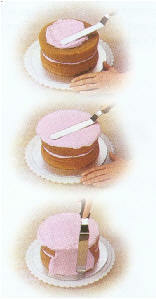 Or try more elaborate techniques such as rolled Fondant. Classes are one-on-one by appointment and charged hourly.